With the three original “X-Men” films proving to be a mixed bag and Matthew Vaughn’s terrific “X-Men: First Class” wedged in between two silly and rather inconsequential “Wolverine” side adventures, it was tough to tell which direction the “X-Men” franchise was headed. Having already covered several timelines, and with many characters from the eponymous team of mutant superheroes having already been killed off, it seemed they would either need to start exploring completely new territory or, conversely, look to its biggest asset to keep things going. Lo and behold, the Marvel comic book property has been mined for its most complex, ambitious story yet, and Bryan Singer (“X-Men” and “X2”) returns to the director’s chair for “X-Men: Days of Future Past” with hopes of making it all work on the big screen. 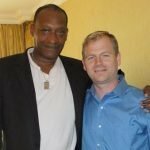 He mostly succeeds – though it feels like he’s bitten off a little more than he can chew – in bringing us the best of both worlds. There are a lot of components and characters being juggled here, and it’s tough not to get lost in a vortex of over-thought. With the ramifications of time travel to consider, mainly the effect that it will have on the continuing “X-Men” film story arc, it seems both like a risky move and a brilliant way to make a much-needed course-correction for the series. While this entry sometimes might feel a little too big for its britches, Simon Kinberg’s intricately layered script, adapted from one of the comic book’s most popular story lines of the early ’80s , is tight-knit and confidently put together, atonement enough for his work on Bret Ratner’s disappointing “X-Men: The Last Stand”. 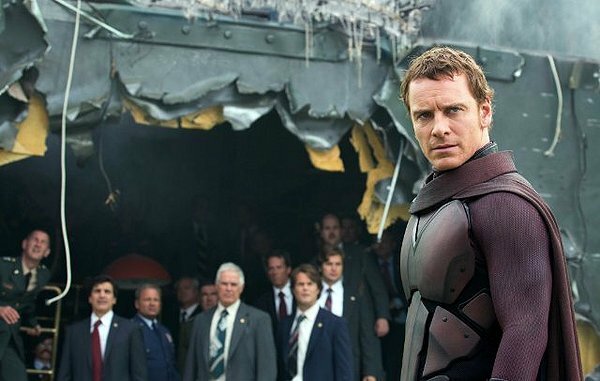 And while 2011’s “X-Men: First Class” (which is neck-and-neck with “X2” as my favorite of the series thus far), which takes us back to the early ‘60s and the origin of the “X-Men”, was the freshest, possibly most well-designed of the series to this point (it established the love triangle between Charles Xavier, Mystique and Magneto that is integral to the storyline here), it was lacking one key component: Wolverine. 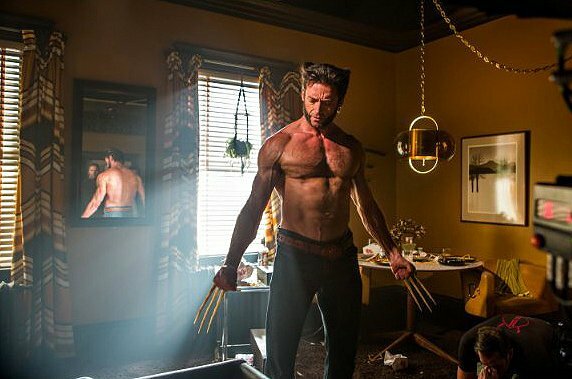 Hugh Jackman’s ill-tempered, claw-sprouting cigar smoking, perpetually un-shaven antihero is the lifeblood of these movies, and though most of us were left with a sour taste in our mouths after 2013’s pointless “The Wolverine”, hope remained that he would return to form for whatever came next. 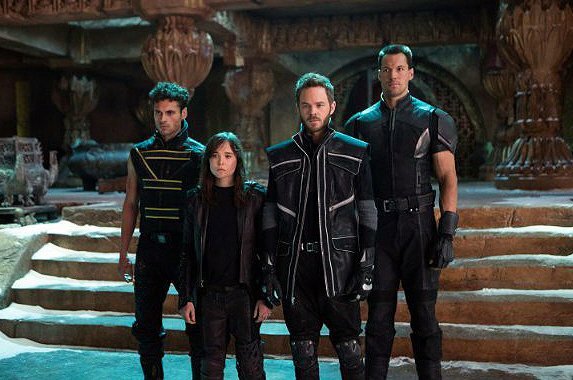 With “Days of Future Past”, Singer has not only created a cohesion between past and present without getting bogged down in back story, but has also cleared a path for an unlimited number of possibilities for the franchise in the future (“X-Men: Apocalypse” has already been announced for 2016). He’s also put Jackman in the driver’s seat of a worthy vehicle without diminishing the importance of the characters that were introduced in “First Class”. 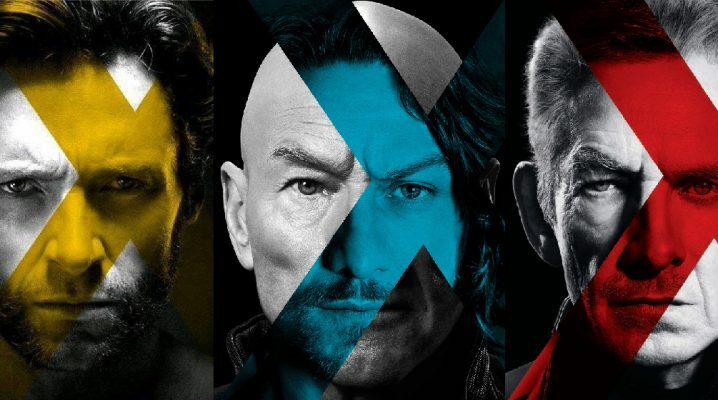 In this one, Wolverine – or more accurately, his consciousness – is transported back to 1973 by Professor Charles Xavier (Patrick Stewart) and Magneto (Ian McKellan) to rendezvous with their younger selves (James McAvoy and Michael Fassbender, reprising their roles from “First Class”) and convince them to join forces to help thwart an event that will eventually lead to the massive extermination of mutants and humans alike. This threat is to come in the form of the Sentinels, giant robots designed by Dr. Bolivar Trask (Peter Dinklage) to eradicate the mutant problem. Congress initially turns down his request for funding, but when Trask is killed by Raven, a.k.a. 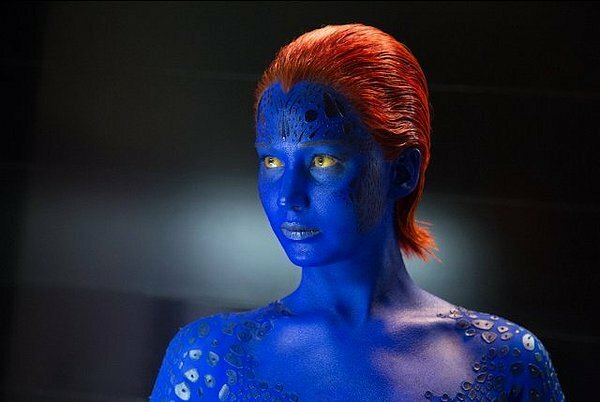 Mystique (Jennifer Lawrence), the blue shape-shifting bombshell who is teetering on the edge of villainy and believes her actions will save her race, she is captured and the program is fast-tracked . The Sentinels that we see attacking a mutant stronghold in the opening of the film are the result, enhanced by Mystique’s DNA and able to adapt to anything that attacks them. Wolverine is tasked with stopping Mystique from killing Trask, but first he has to get Professor X out of an alcohol-induced stupor and break Magneto out of the Pentagon, where he’s been imprisoned for a decade for allegedly killing Kennedy. Where “Days of Future Past” comes up short is in its follow-through, as it pulls on too many threads. 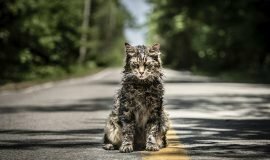 Things get wrapped up a little too tightly, despite the implausibility – and often impossibility – of the storyline, and with some unsung ancillary characters who disappear as if irrelevant. The other X-Men are strictly second fiddle here. Halle Berry is high up in the billing as Storm, but only has a handful of scenes. Ellen Page reprises her role as Kitty Pryde, a critical component of the film (her screen time is spent mostly at the side of Wolverine as her telepathic powers are what make the time travel thing possible). 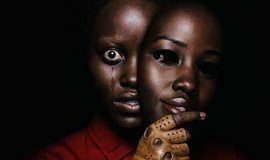 Good guys and bad guys are in an almost constant state of flux, and the progression of the story never really allows any set group to fight on the same side for very long. On the other hand, conflict among the on-again off-again teammates gives it a layer of suspense lacking in many superhero films. The action sequences are inventive and well-choreographed. Highlights include a sequence set to Jim Croce’s “Time in a Bottle” in which lightening-fast Quicksilver (Evan Peters), who Wolverine calls on for help, rearranges an entire room in bullet-time while springing Magneto from the Pentagon (I typically dissuade people from 3D, but it’s actually worthwhile here). And as a DC native, there’s certainly a thrill in seeing RFK Stadium being uprooted and dropped around the perimeter of the White House during the climax. 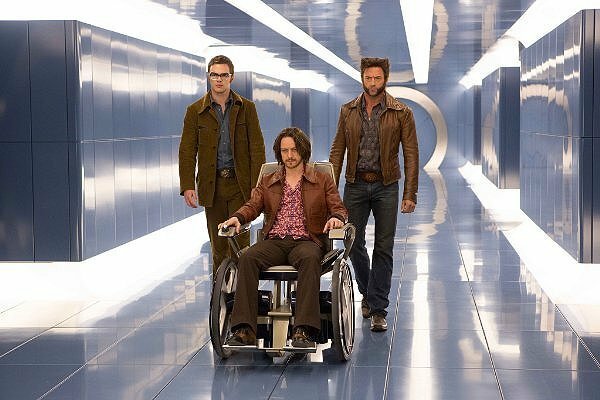 I maintain that “Captain America: The Winter Soldier” is the best superhero film of the year so far, but “X-Men:Days of Future Past” isn’t too far behind.